The EXSFP1GELXST is a Juniper EX-SFP-1GE-LX compatible fiber transceiver module that has been designed, programmed and tested to work with Juniper® brand switches and routers. It delivers dependable 1GbE connectivity over fiber cable, for 1000BASE-LX compliant networks, with a maximum distance of up to 10 km (6.2 mi). 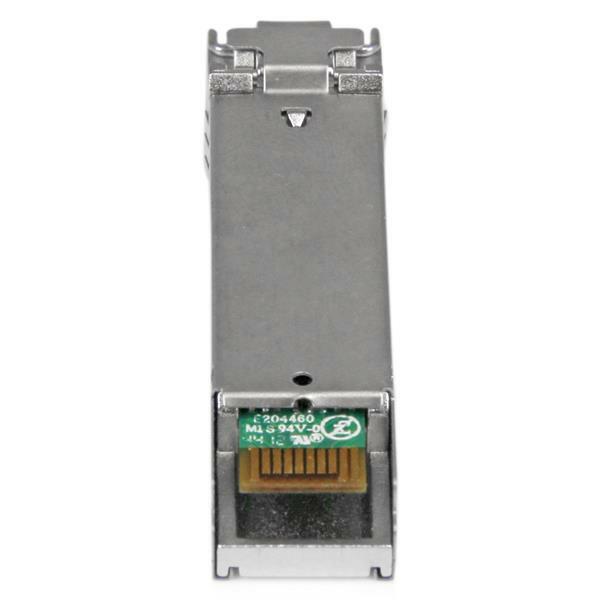 This SFP fiber module is hot-swappable, making upgrades and replacements seamless by minimizing network disruptions. 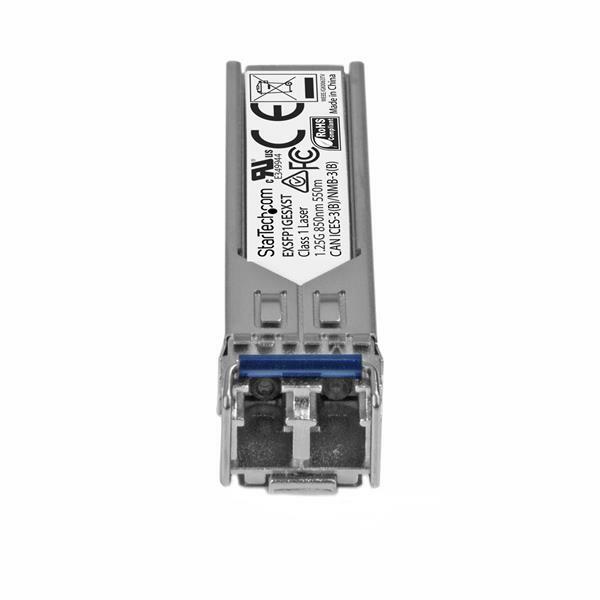 All StarTech.com SFP & SFP+ transceiver modules are backed by a lifetime warranty and free lifetime multilingual technical support. StarTech.com offers a wide variety of SFP modules and direct-attach SFP cables, providing the convenience and reliability you need to ensure dependable network performance. How can I tell if this SFP will be compatible with my network equipment? SFP fiber transceivers (mini-GBIC) are specific to applications and therefore, you need to select the correct fiber transceiver for your application. 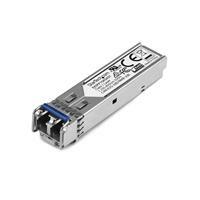 StarTech.com offers a few types of fiber transceivers: Cisco®, Cisco Meraki®, HP®, and Juniper® compatible, as well as standard gigabit SFP converters. Although the transceivers may be referred to as GBIC or mini-GBIC, the correct terminology for the device is small form-factor pluggable transceiver or SFP . StarTech.com does not carry GBIC converters. If your device is not a Cisco device, it can still use Cisco compatible SFPs. Cisco SFPs are specifically coded to be compatible with Cisco devices. A standard SFP will not work in a Cisco device. StarTech.com offers two different output connector types for SFPs: RJ-45 and fiber. The connector type, such as LC, SC, or ST. The mode (single mode or multi mode). The wavelength, such as 850 nm, 1310 nm, or 1550 nm. The speed, such as 10Gbps. Note: The properties listed above cannot be converted or changed by a cable, excluding the connector type.